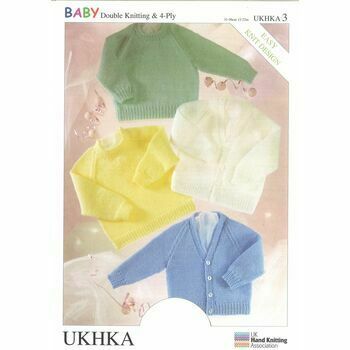 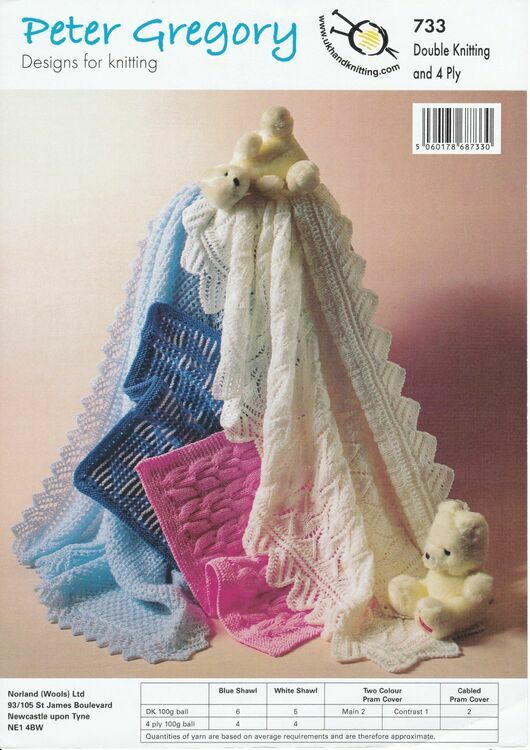 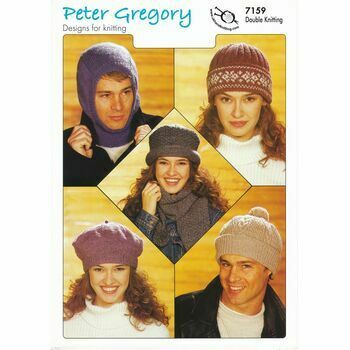 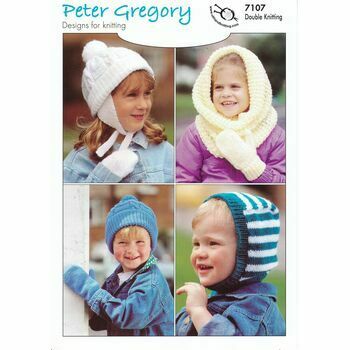 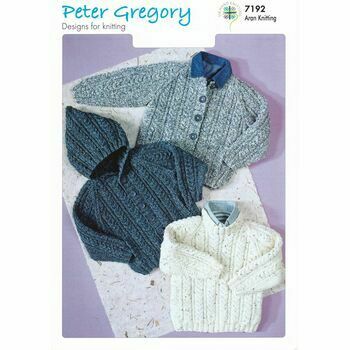 This Peter Gregory double knitting pattern leaflet will help you create a blue and white shawl with lace edging, a two colour pram cover and a cable knit pram cover. 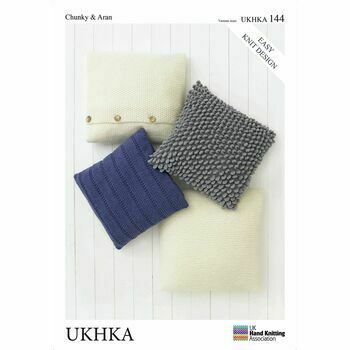 Full instructions included provide you with all the measurements you need. 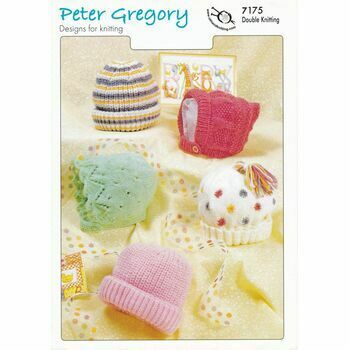 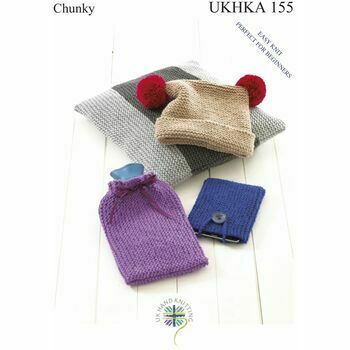 All knitting instructions are written in English.